This past Friday I went with a few friends to see John Mayer perform at the St. Pete Times Forum in Tampa. I’ve seen John Mayer in concert many, many times so I’m always comparing the next show to the last one. 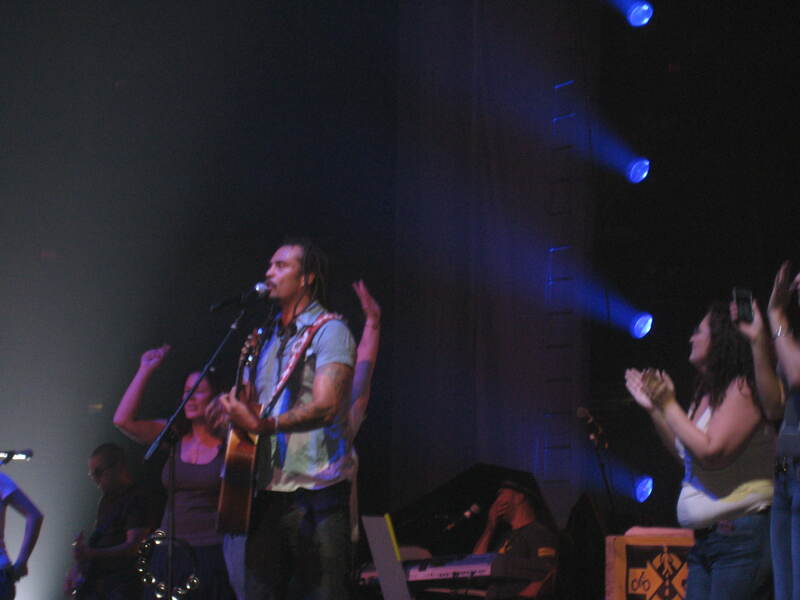 Show opener Michael Franti & Spearhead brought the crowd to their feet with their Reggae beats. The crowd interaction was unlike anything I’ve ever seen at a show this size (10,000+ people). Not only did Franti pull two concert-goers from the crowd on stage, but they were given guitars to jam along to the music with. If that wasn’t enough Franti appeared throughout the venue during the show, singing along with the crowd whose seats weren’t as good as ours. He even closed the show by bringing more people up on stage for a group singalong. 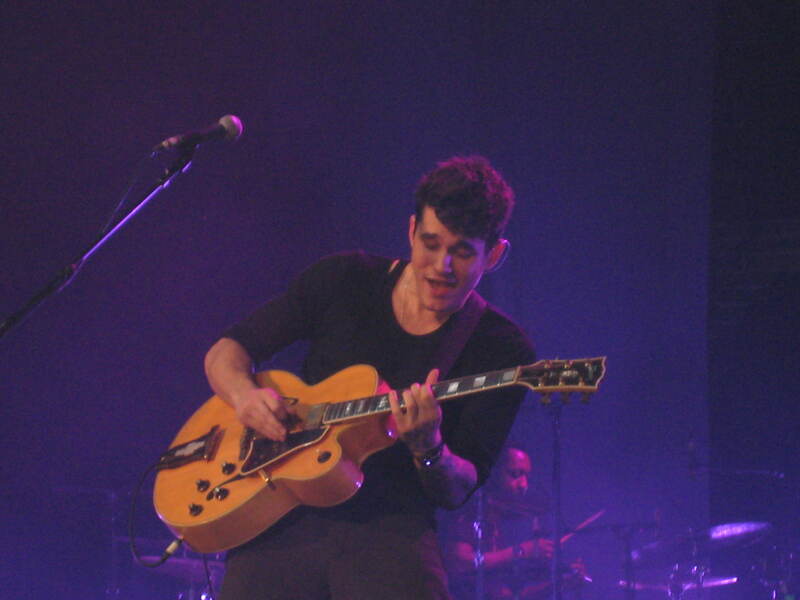 A few minutes later John Mayer took the stage, opening with his current single “Heartbreak Warfare.” From the start of the show through the end of the two-hour set Mayer was on. His band (made up of several new additions, including the first showing of back-up singers) was as tight as I’ve ever heard. There was a cohesion that was hard to imagine considering this was only the second show of the tour. We were fortunate to hear 8 of 11 tracks from Mayer’s current CD “Battle Studies” and the songs didn’t disappoint. One of the greatest parts of any John Mayer show is the banter. Tampa’s show was no different. Mayer even got his hands on a sign that referenced a recent “Rolling Stone” interview he’d done … definitely funny stuff. We followed up the Tampa show with another one in Jacksonville the next night and it was equally great, minus a lame Jacksonville, blazer-wearing crowd. Man, you were close! I’m sure you were stoked, knowing how much you love John Mayer! Great photos. The opening band sounds like alot of fun. I love it when musicians engage with the audience.